Kitchen and Residential Design: Hey, what is that?! And this kitchen table have in common? 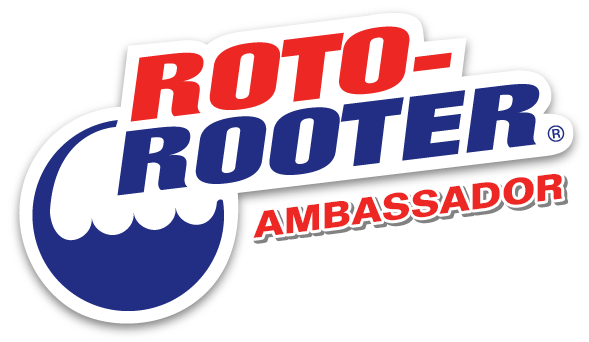 Here's a hint that's little more than a shameless plug. 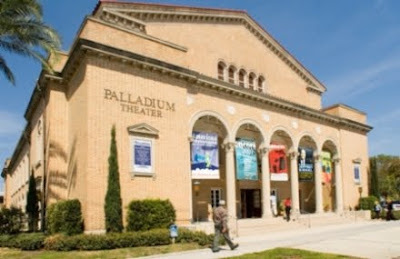 The Palladium Theater is home to the St. Petersburg Opera Company and the practice facility of the Florida Orchestra. It's also a starving arts organization that needs every scrap of support it can muster, as do all community arts organizations. Please help to keep the Palladium and whatever community arts groups are local to you alive during these troubled times. OK, with that out of the way, the Palladium has its original, 70-year-old cork floors. 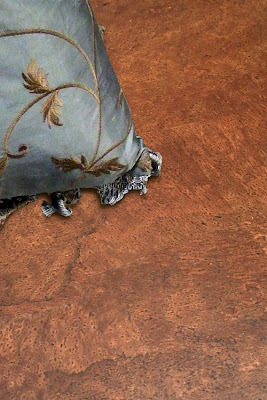 After 70 years in a public facility, those cork floors still look fantastic. 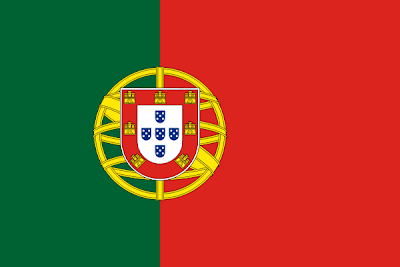 Cork flooring comes from Portugal. 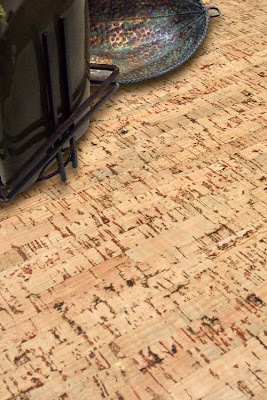 The design I mentioned the other day in post about kitchen tables is getting a cork floor. 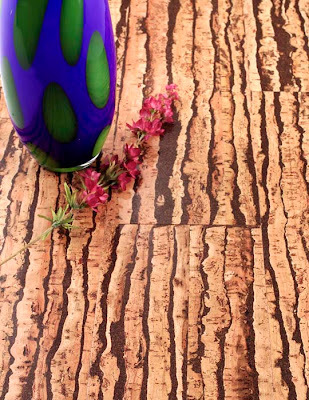 This cork floor to be exact. 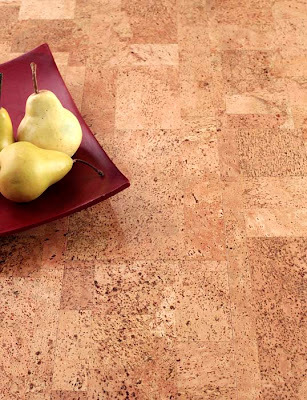 Cork flooring is not new, though it's currently experiencing a resurgence in popularity. It's resilient, kind of spongy, tough as nails and completely sustainable. It's also stunning. Look at some of this stuff. Gorgeous yes and believe it or not, it doesn't have any special requirements for care or cleaning either. Here are a few more beauty shots. 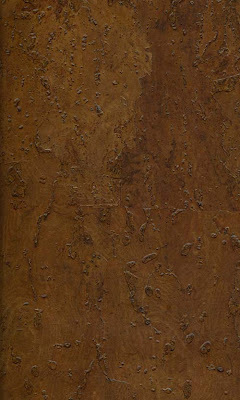 All of these cork floors are available as planks or tiles from US Floors in Dalton, GA. If you need any more information, just ask me. 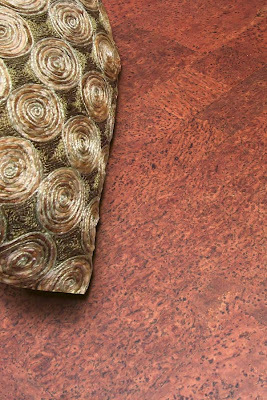 This stuff from US Floors has a UV-blocking top coat and it's also engineered into a board similar to any engineered floor. 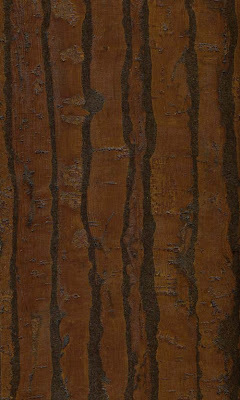 The cork layer sits on top of two layers of plywood. Apparently, it increases cork's ability to hold up to furniture placement and dog claws. I have a box of samples of the stuff in my office and I'm planning to put them through their paces this weekend. If you were closer Chuck, you could help me stab, douse and scorch the stuff. Interesting product. 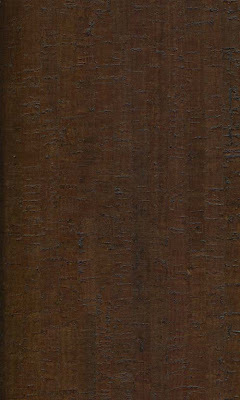 I love cork floors. They are really pushing cork further than I've ever seen it pushed too. Thanks for checking in Gina! I love cork I'd love to cork my entire Eichler, not just the kitchen, since I want that open plan feel. 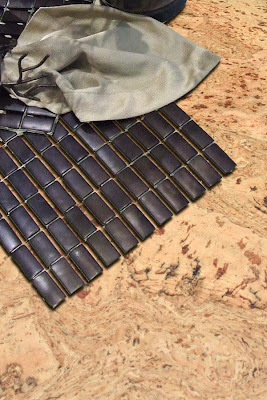 Cork would be great with the radiant heating, and make sense in a way that wood wouldn't. But I might stay conventional and do tile. My architect pointed out how well cork stands up to traffic--it's the flooring of a very popular bicycle shop in town. 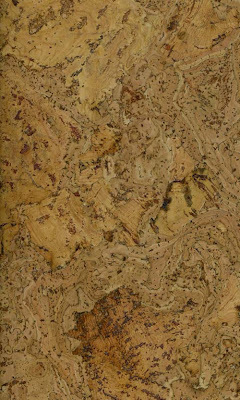 Cork floors in an Eichler would be perfect. It was a very popular flooring option in the mid-20th century until everything got shoved aside by that newfangled wall to wall carpet. Everyting old is new again as they say. 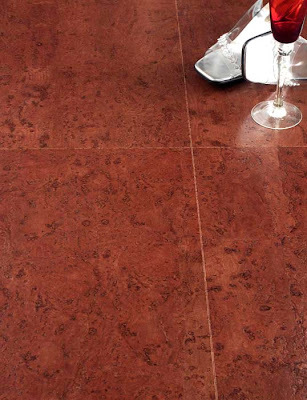 I love cork floors, but I am usually alone in my opinion here in my little community. Spread the word, spread the word, Paul. No need to tell me that!